Walhalla is a special little place. With a long gold mining history, beautifully restored buildings and a charm that often catches visitors by surprise. Quite unspoiled and a town many Australian’s have not heard of. It had been some years since our last visit and it came as a pleasant surprise to find the town was not developed or ruined by tourism as can often happen. From 1863 until 1914, this town was one of the richest gold mining regions in Australia. Churches, a large school, numerous shops, and about 10 hotels served the community of more than 3,000. Gold mining could no longer sustain the town by 1914 and the area was mostly abandoned. Some buildings were pulled apart and rebuilt in other towns after being transported by train, many buildings were left to fall into disrepair and become fuel for bushfires. What had been a booming gold mining town, became a ghost town until the 1990’s when an appreciation of the history began to take hold. Building and renovations began, restoring what was left of homes and businesses. 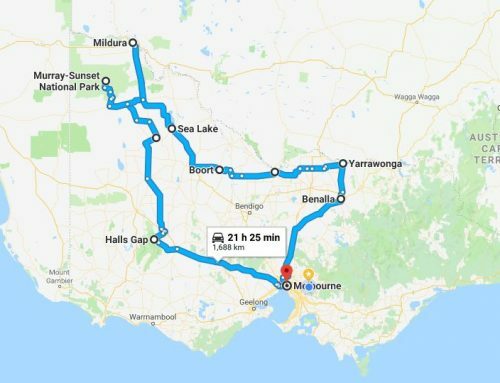 Power was not connected to the town until December 1998 – the last town in Victoria to be connected. The population of permanent residents only numbers about 20. A narrow gauge train follows Stringers Creek Gorge from Walhalla to the Thomson River. Originally opened in 1910, the train line closed in 1944 until enthusiasts began a restoration project and re-opened the line to tourists. 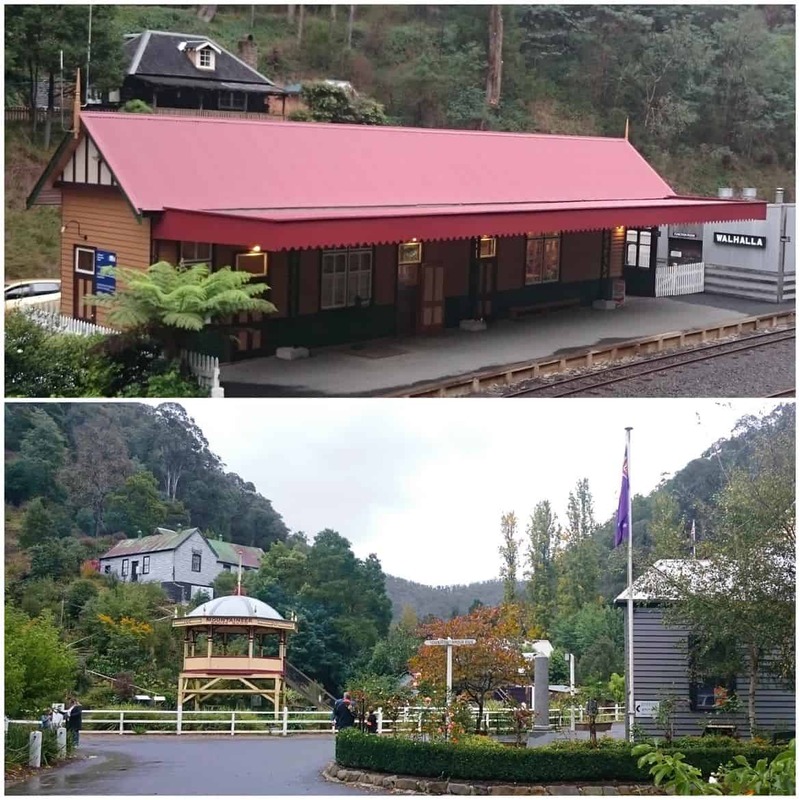 ABOVE: Walhalla Railway Station & Band Rotunda near the restored Star Hotel. 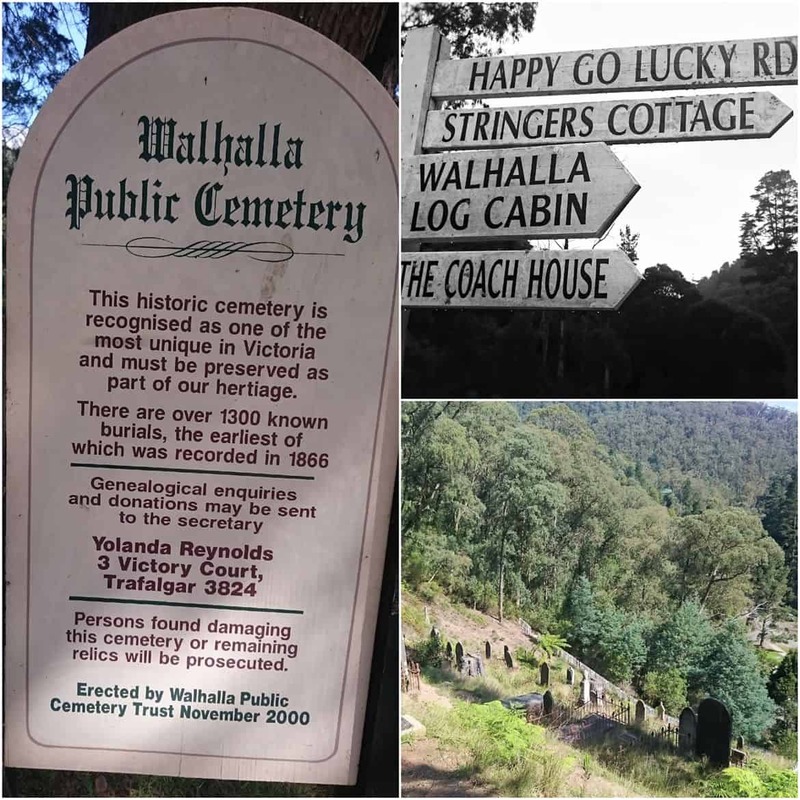 The Walhalla cemetery is built on a 45-degree slope, a visit to the town should always include a quiet walk into the past with a visit to the cemetery too. The cricket ground is another spot to hike to, back in the days of gold mining flat land was precious, the answer to make room for a sports field was to basically slice the top off a hill. It is a 1km walk up a zig-zag track, a good start for a game of cricket! 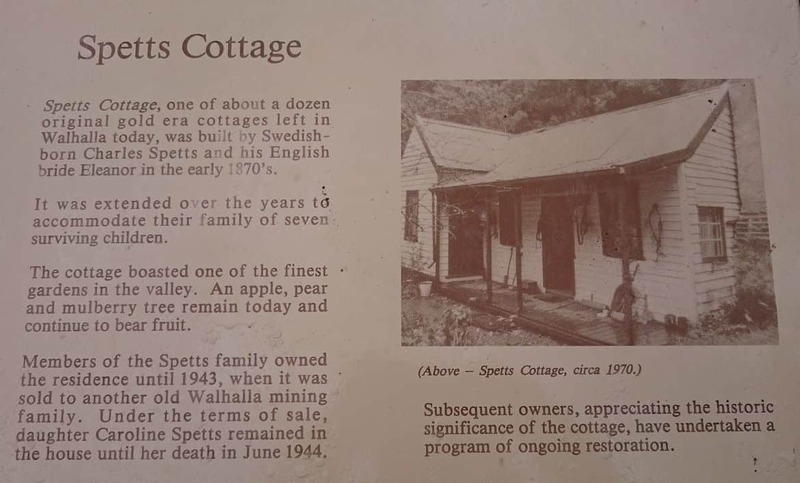 ABOVE: Spetts Cottage & History sign. 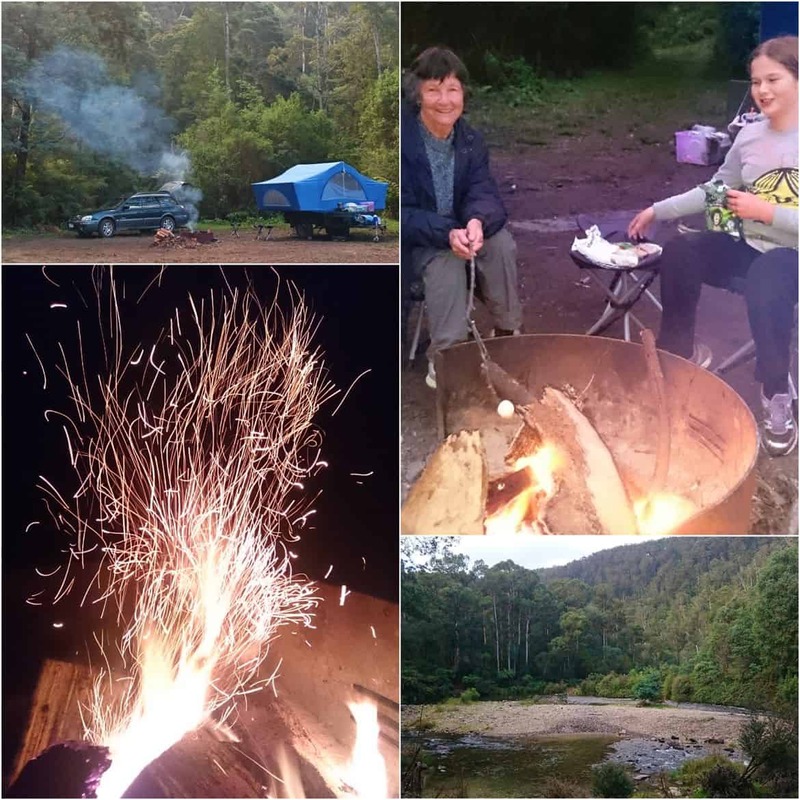 Coopers River Reserve is a popular spot for free camping and gets very busy during peak holiday times. Long drop toilets, open fire pits (byo wood) and access to the river. A popular canoe landing area is located here also. Fishing looks great, summer fun on the river… This was a section of the original Walhalla Road, the Coopers Mine Hotel nearby is currently being restored after being derelict for a number of years. The Walhalla Coach House is a 3 bedroom, 2 bathroom family holiday home located in the beautiful Walhalla valley, and will accommodate up to 8 people comfortably. 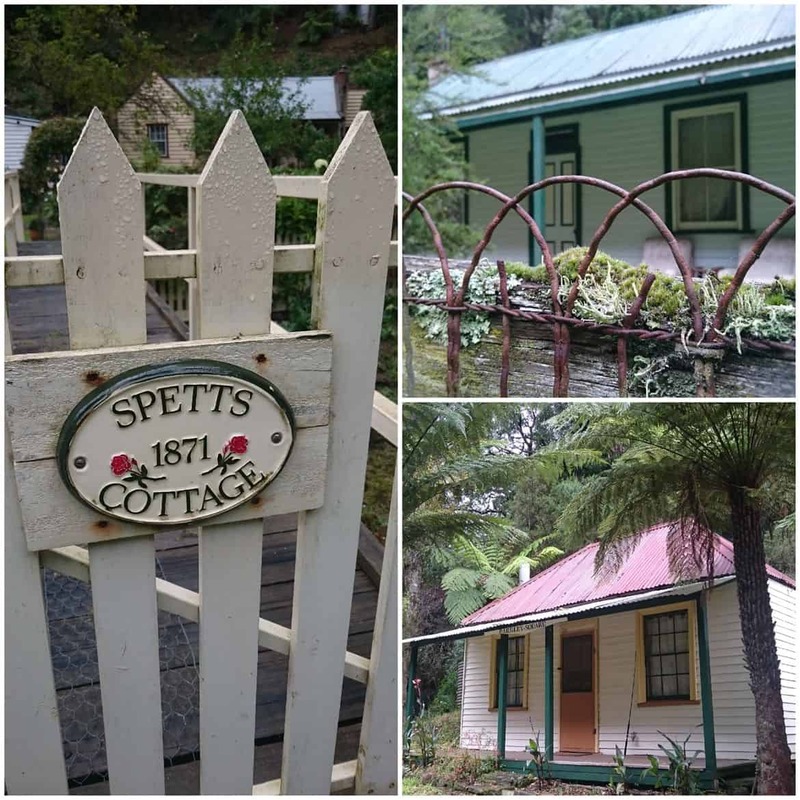 Nestled above Stringer’s Creek and shaded by massive mountain ash and black-wood trees, it is private and secluded, yet only a short walk to the historic town centre. Walhalla’s Star Hotel provides stylish accommodation in twelve large suites in the heart of the township. For over 18 years, Walhalla’s Star Hotel has provided a fabulous break from the ordinary in beautiful surroundings. Walhalla is the most wonderful town to visit and a stay at the Star Hotel is the icing on the cake. Stringer’s Cottage is a charming one-bedroom miner’s cottage on the outskirts of the historic village of Walhalla and is fully self-contained. Featuring a cosy wood fire, galley kitchen and indoor toilet/shower, it has all the creature comforts at hand including a luxurious queen size bed. Nestled above Stringer’s Creek and shaded by massive mountain ash and black-wood trees. It is so different to other areas of Victoria, a real gem.